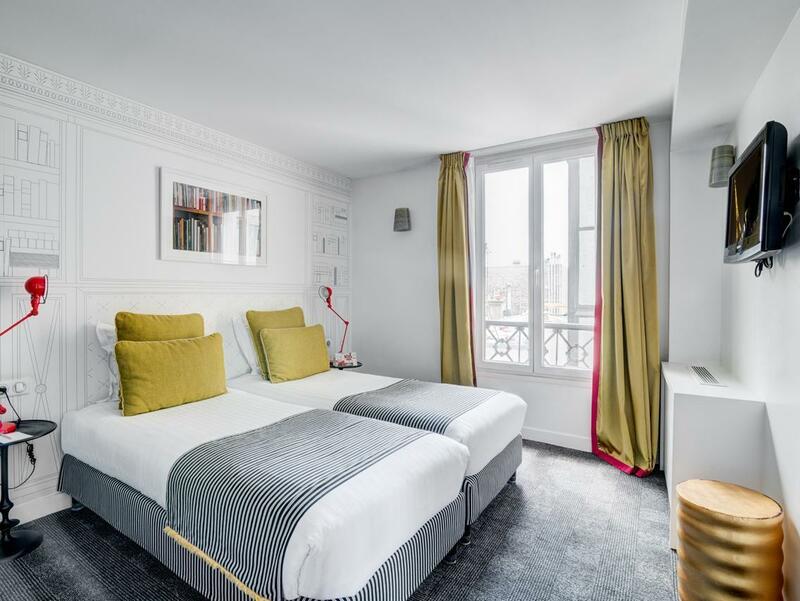 ﻿ Hotel Joyce - Astotel Paris. JIMAT di Agoda.com! Ada soalan mengenai Hotel Joyce - Astotel? Dibina pada 1900, Hotel Joyce - Astotel merupakan tambahan menarik di Paris dan satu pilihan bijak bagi para pelawat. Dari sini, tetamu boleh menikmati semua kemudahan yang bandar ini tawarkan. Pelawat yang datang ke hotel boleh melawat tarikan utama di bandar ini seperti: Sept-Cinq, Musee National Gustave Moreau, Muzium Musee de la Vie Romantique. Hotel Joyce - Astotel menawarkan perkhidmatan yang sempurna dan semua kemudahan penting untuk menceriakan pelancong. Pilihan kemudahan kelas atasan seperti Wi-Fi percuma semua bilik, pengemasan harian, mesra kerusi roda, meja depan 24 jam, fasiliti tetamu kurang upaya boleh dinikmati di hotel. Masuklah ke salah satu dari 44 bilik tetamu kami dan tenangkan hati anda dengan pelbagai kemudahan seperti televisyen skrin rata, karpet, kopi segera percuma, teh percuma, linen yang boleh didapati di beberapa bilik terpilih. Di samping itu, pihak hotel menawarkan aktiviti rekreasi untuk memastikan anda mempunyai perkara untuk dilakukan sepanjang penginapan anda. 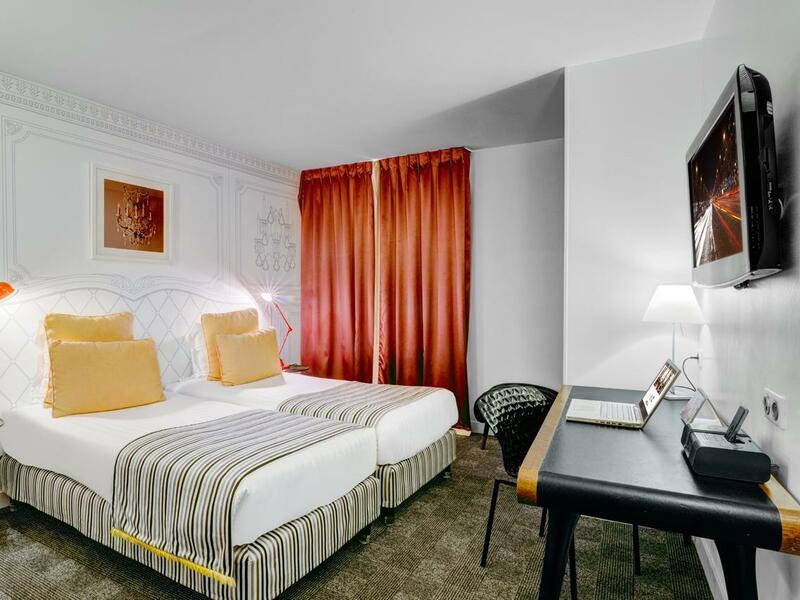 Hotel Joyce - Astotel merupakan tempat yang ideal bagi penginapan pelancong yang mencari keindahan, keselesaan dan kemudahan di Paris. Decor of the hotel is quite modern. The room is spacious which I liked it a lot. There was some issue with the door knob but this was ok for me since it has been fixed. Most items are available like hairdryer, safe, kettle, heater, etc. Toothbrushes not available and I didnt check too since I already got mine. The bed was really comfortable and can have good sleep through out the night. If breakfast can have different varieties daily will be great cause I have same breakfast for 5 mornings which I felt can be boring. I do like the open bar concept because I have been to other astotel hotels for some drinks and snacks while taking a break. About 11 euros for taxi fare from gare du nord to hotel. Journey maybe less than 20minutes. Safe location, near grocery store. Friendly people. Overall very good! 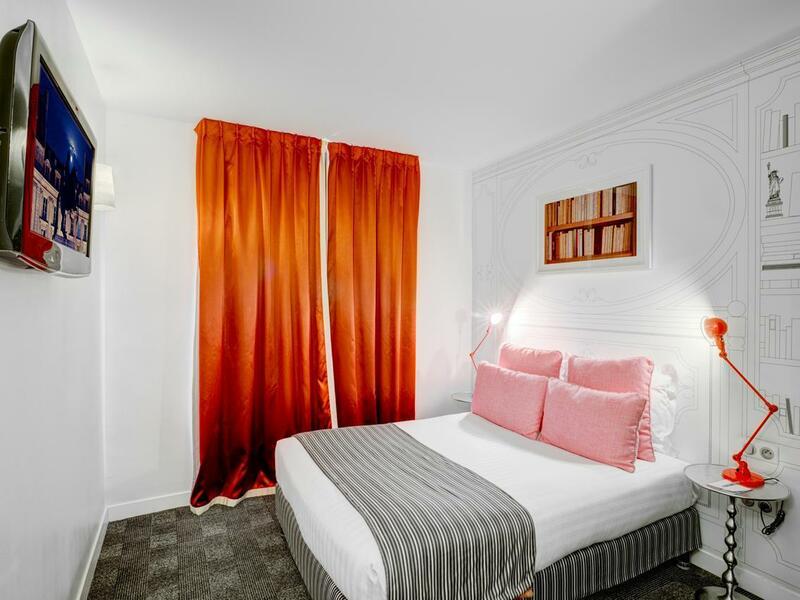 This is not a particularly cheap hotel, but is considerably cheaper than similar hotels in the centre of Paris. The two metro stations within easy walking distance of the hotel, and offering four different lines, take you into the centre in approx. 15/20 minutes. The location has some shops, bars and bistros etc. but is not noisy. The hotel is very clean, both in the rooms and public areas, and has a boutique style ambience. The staff are welcoming, helpful and very friendly. Our room and bathroom were small, but perfectly adequate. There is a comfortable area for breakfast, that also offers a small selection of light, complimentary snacks, tea, coffee and soft drinks, from a self service counter after 1pm. This is a nice touch and a welcome refreshment after a day's sight seeing and before going out for dinner. However, there is no bar, but you are allowed to take alcohol and food purchased outside into the eating area. My stay at Hotel Joyce was a positive experience, without any wow factors. The day/night staff were courteous and helpful. The complimentary light refreshment in the dining area was much appreciated. However, I think at the end of a long day, coming back to a clean, well lit, and spacious room is important to me and for that I would spring for a larger room next time. 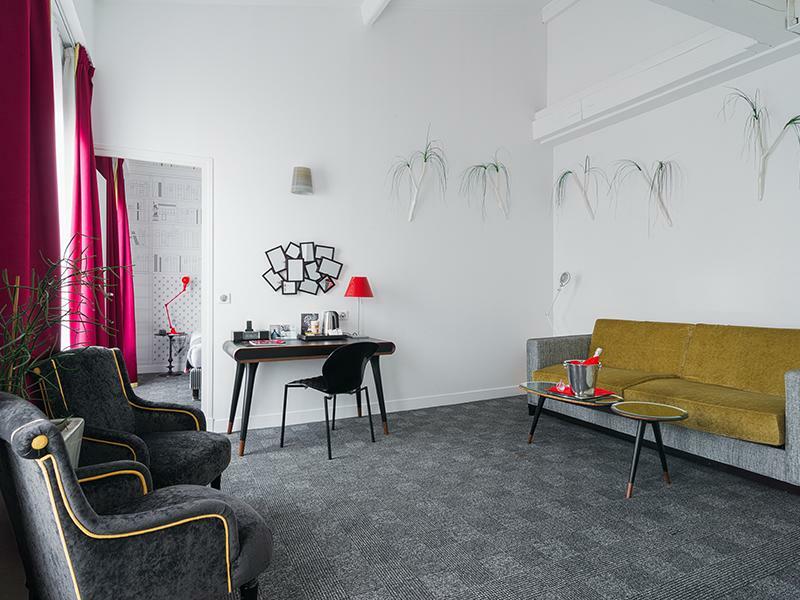 Unfortunately, most rooms in Paris tend to be small and Hotel Joyce is no exception. Even the elevator lift was tiny! Our room lacked natural light since it faced the small courtyard and was on a lower level, which made the room seem even smaller somehow. Also, I wish the shower/tub area had a curtain because water got everywhere after a shower. 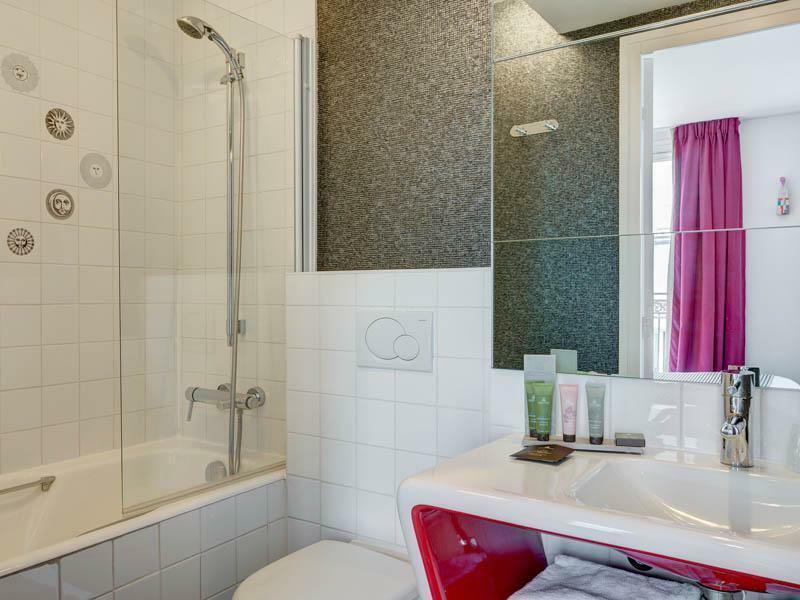 Overall, good value hotel, close to Montmartre area, just lacking a bit of "oomph" in the room to make up for the small space. Brilliant stay at Hotel Joyce. Couldn't recommend highly enough. In a great location, great staff, great food, great room. Absolutely brilliant hotel. Staff were so helpful and friendly. Hotel rooms were well designed. Iloved the area near a metro also close to Pigalle. Area was not touristy. Many small restaurants lovely food. Helpful and friendly staff; great location; 2-3 mins walk from St. Georges metro and 10 mins walk from Lafayette. Room is clean and bathroom is spacious. My room is arranged on the 1st Floor and it was so noisy at 4am that I couldn't sleep anymore. I checked in at Joyce Hotel with my girlfriend to spend a couple of days in Paris. Mainly for a bit of sightseeing, shopping and museum visits. 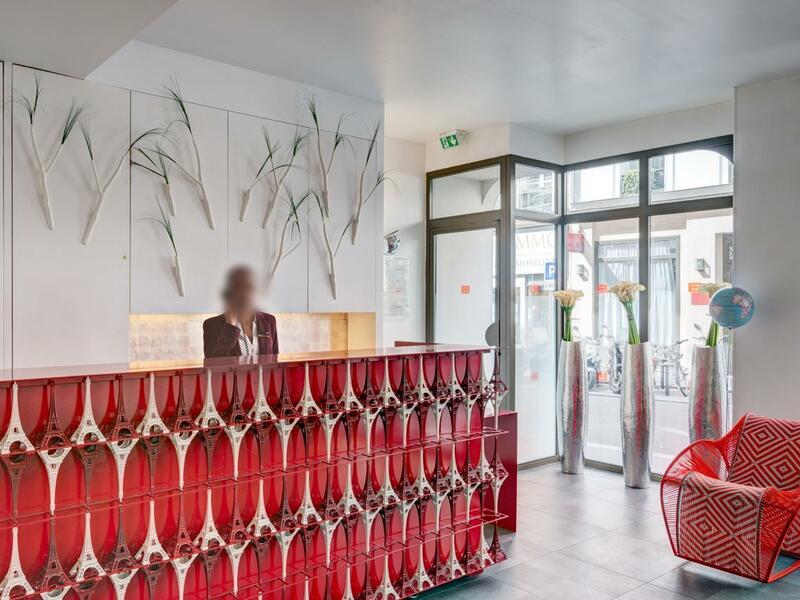 For that purpose the Hotel was centrally located and within a 5 minute walking distance to the next Metro station in a charming area with restaurants and bars. 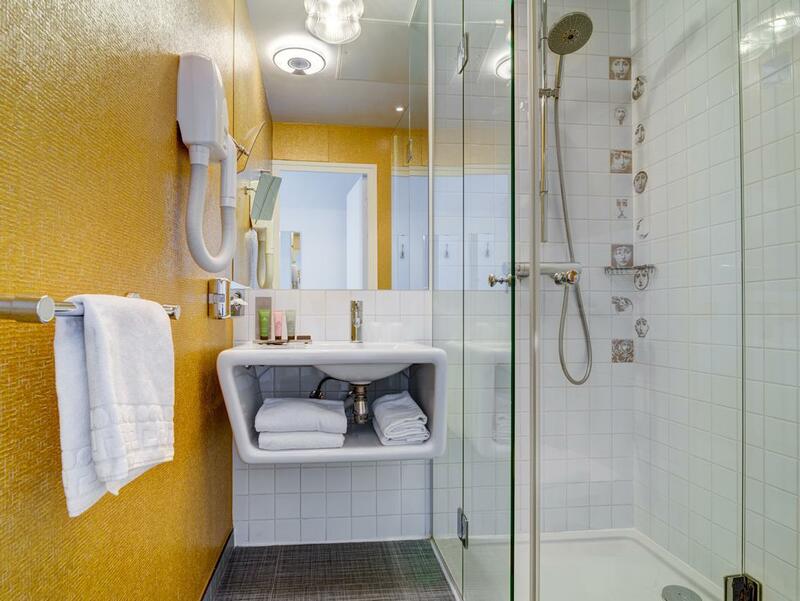 As most Hotels in Paris the room was small but therefore in good shape and properly equipped with a touch of "design". The stuff in the lobby was also very friendly and there is nothing to complain about. I have to note that we didn't try the breakfast or any other service since we'd enjoyed our breakfast in the local cafes. Can recommend this place to everyone that wants to have a well maintained, clean and nice Hotel. Hotel staff were friendly and helpful. It is walking distance from the subway station. Nice and quiet spot with bistros and cafes around the area. Awesome value for money. It was very nice to stay in this hotel. I was there on business, and able to get easy access to metro. The room is comfortable with good hygiene but it is very small than expected. They have free beverages and snacks at lobby. The breakfast is simple and good. The staff are very nice and helpful. Room is very small than we expected but it is comfortable and silent. The location is convenient to opera which we can just walk to the shopping area. The staff are very nice and helpful. The breakfast is simple and good. There is free beverages and snacks at the lobby. We have asked the staff to reserve some restaurant and he is very helpful. Good location but the room is so small than expected but overall it is comfortable with good hygiene. the hotel is quiet and cosy and most of all the staffs are just being so accomodating, helpful and also chatty especially mr samuel, he's night duty and mind you all alone at the reception and yet he can do to even help us open our wine at the dining and set the table for us. he is a marvelous guy, he is always there to help you especially getting/booking our transport to the airport and etc, he is just very efficient. all these while i have been staying in a 5 star hotel as my husband works with the airlines but i would say, a big thumbs up for this hotel as their service was just being great. and also, i like their mini dining hall as after a long day sightseeing you can go back and relax with a small knick knacks and drinks from their bar which is compliments from the hotel. this hotel is highly recommendable and will definitely stay again sometime soon with my friends and family. we have spent 4 nights in this hotel, the decoration of the hotel is really good, whatever in the room / bar area. the coffee corner provide free drinks & nuts during 2pm-2am, what a good service! the staffs are very friendly and helpful. the breakfast is good too, many choices and delicious. however, we think that this hotel is a bit far from the metro, but overall this is a good hotel with reasonable price.